eLearning has emerged as one of the broadest and fastest growing markets, globally. The development of new technologies – mobile phones, tablets, increased access to the internet – has meant that learners are no longer restricted by their physical location, and now have the freedom to study the subjects they’re passionate about, from an institution of their choosing, anywhere in the world. However, one restriction that may yet hinder learners is language – and that’s where the importance of eLearning localization comes in. What is eLearning Localization and How Big Is it? eLearning localization is the process of translating and adapting eLearning platforms and content from one language to another. The overall aim of the localization process is to give the end user the experience as though the content was never initially written in a foreign language. For learners, using an eLearning platform that is written in their native language should make knowledge easier to both acquire and retain. So, we’ve established the benefit to the learner of localized content, but for providers, what is the actual scope and size of the eLearning market? Well, eLearning is big, big business. It is estimated that over the next decade, the global eLearning market will grow at a rate of 7% to approximately $331 billion by 2025. In the United Kingdom alone, institutional organizations such as the NHS, Girlguiding, countless universities, and corporate companies are offering online learning courses to employees and students across the globe. With these numbers in mind, we must also take into consideration that, even though English is a global language, English only accounts for 25.3% of language usage on the internet. Chinese is second, with a 19.8% share of the internet – approximately 731 million users, followed by Spanish in third, making up 8% of internet usage. 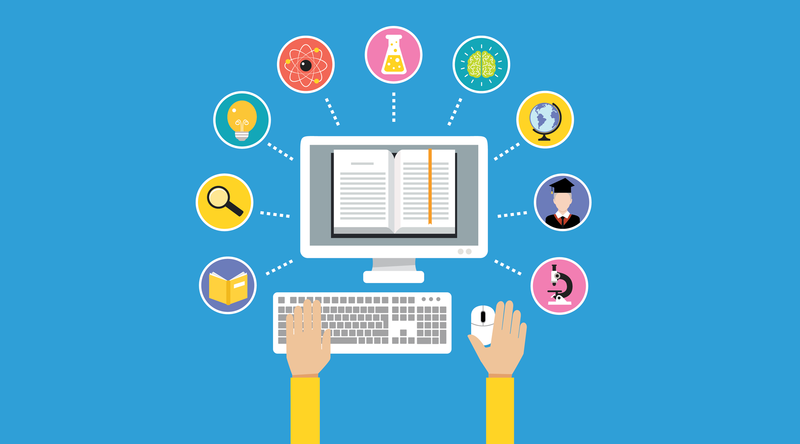 So, what exactly are the benefits of eLearning localization to course providers? Well, the immediate benefits are the wider audience that can be appealed to. Based on the numbers provided previously, to choose just one or two languages – in this case, Chinese and Spanish – could expand an eLearning provider’s reach on the internet from the 25.3% English speakers, to just over 50% of internet users in their native language. Adopting eLearning localization can have a positive impact on your overall brand and identity. Tailoring your eLearning product to a specific audience shows that your company takes into consideration the needs of learners from a non-native English background and that you’re passionate about quality and success of the product you’re offering – enhancing people’s trust in your brand, both at home and abroad. Another added benefit of eLearning localization is that you’re almost guaranteed to have consistent results in the countries you’re offering your eLearning course in. Localization, by its very nature, takes into consideration culture as well as language during the translation process. 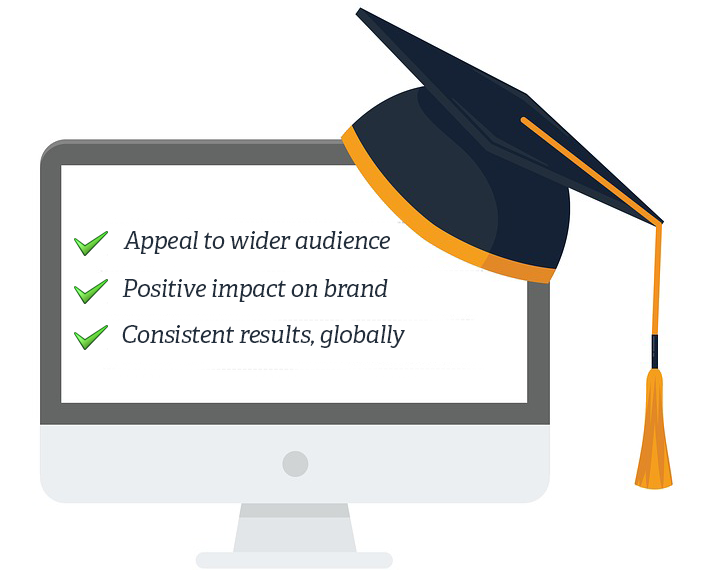 With this in mind, your eLearning material will be both in line with the curriculum of the particular region you’re targeting, as well as more attuned to cultural nuances for both employees and students – yielding uniform global results. If eLearning localization sounds like it could be beneficial to you as a course provider, there some steps you can take to start growing within this global market. Research current and potential trends in eLearning, and plan your content with an eye towards future localization. It is reported that the eLearning market is leaning towards more interactive and video-based content. Also, content for mobile learning continues to steadily rise. Keeping the content in your eLearning materials neutral – no culture-specific references and careful consideration to units of measurement – and leaving ample space into which the translator can work will give both your eLearning platform and materials the best chance at localization success. Enlist the services of a qualified language service provider. Translation companies such as Wolfestone, with years of experience not only providing localization for eLearning, but for a range of different specializations, will be best suited to providing you with any information you need to begin the localization process. One final thought for eLearning localization. It is a commonly used quote in the translation industry, but Nelson Mandela once said, “If you talk to a man in a language he understands, that goes to his head. If you talk to him in his language, that goes to his heart.” This rings so true, especially in the case of localizing eLearning for your consumers.